When the evening’s last song’s last note rang out it was in the range of an orchestra’s triangle. 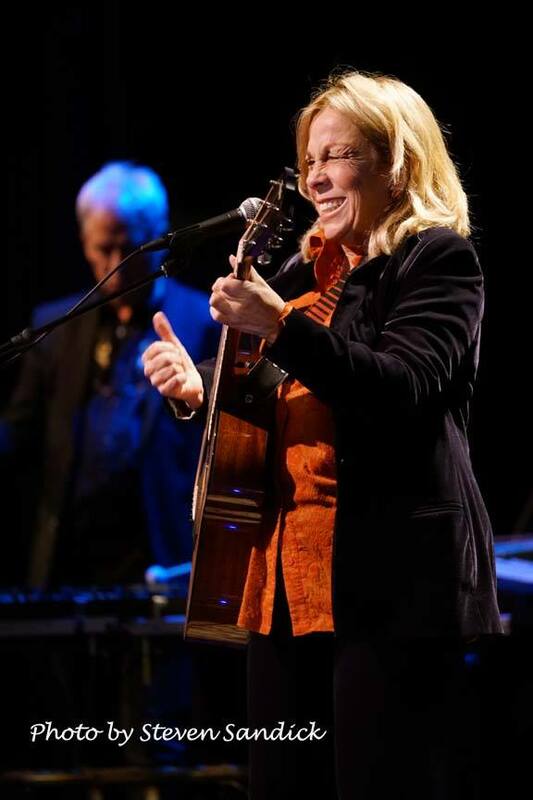 That high note was “high” in several respects: it reflected an artist’s highest aspirations. 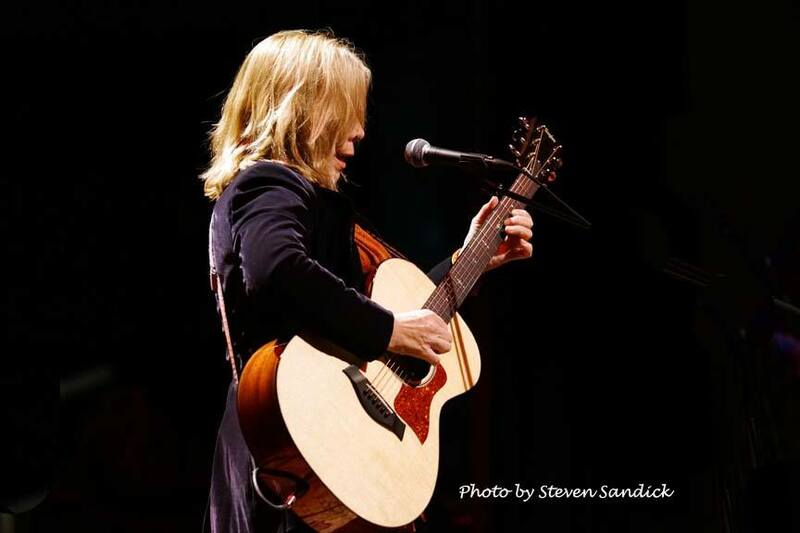 It reflected the full range of sentiment, from the secrets buried in chatter to the deliberate evocation of a mature songwriter. It reflected the high notes of accompanists challenged to match wits with a savvy lyricist. 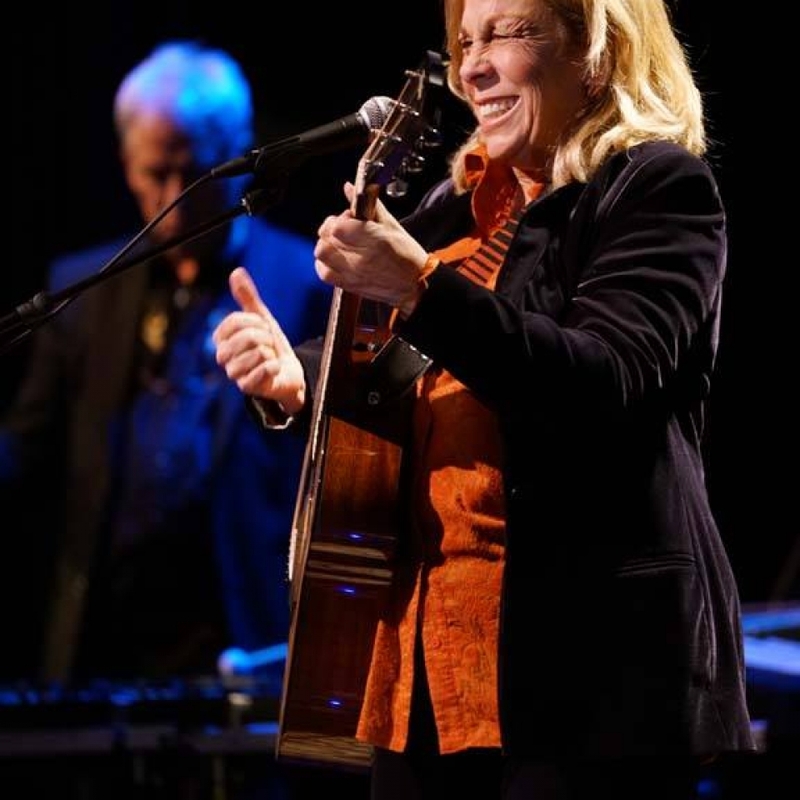 It was all part of the 2017 return of Rickie Lee Jones to Landmark, where she first appeared in 2009. 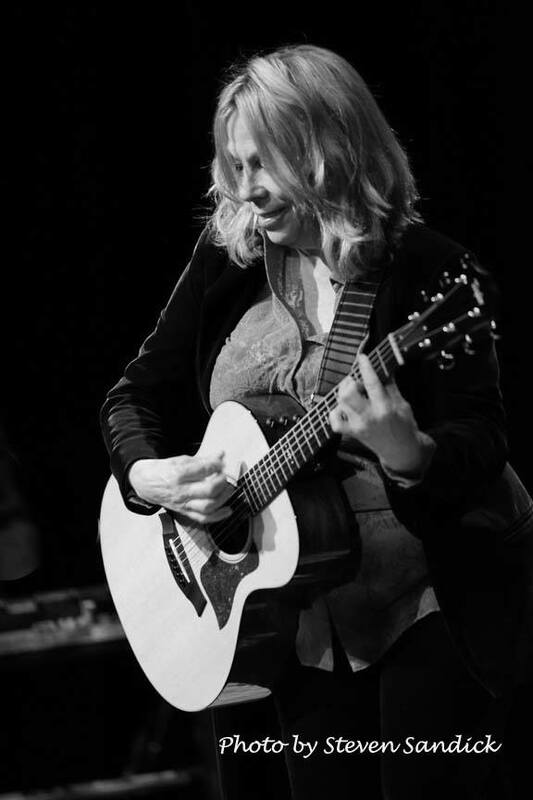 In her 2000 poem, “The Secret Language of Trees,” Rickie Lee Jones @RickieLeeJones speaks of “deafening skies that can be mapped and measured.” More than many songwriters, Jones demonstrated that she can move beyond the literal. There’s an irony here. The much-loved, much-played 1979 classic “Chuck E.’s In Love” has a real-life referent, a certain Mr. Chuck E. Weiss. The song, which at the time propelled Jones’ debut album to a soaring 2 million copies and a Best New Artist award, moved the accessibility needle further in the direction of “Satisfaction” and “All Shook Up.” ( — That is, with the exception of the song’s idiomatic mention of “P.I.P.”). Not that anyone generally objects. 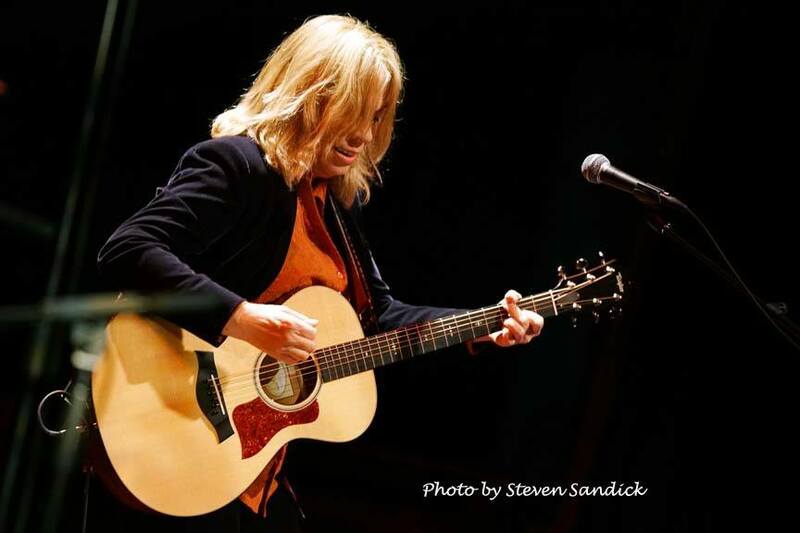 When the familiar song made its way into Jones’ set list, the Landmark audience clearly reveled in its stroll down memory lane. “Chuck E’s in Love” casual rhythm and coffeehouse banter was a kind of ear candy – most likely some form of taffy. As would prove to be the case with many later Jones tunes, the message is devilishly sincere. 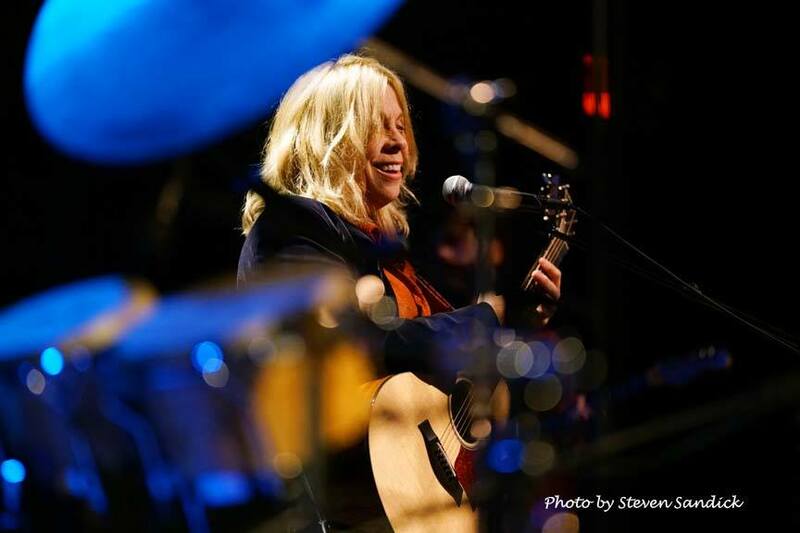 Soul and jazz, folk and blues vamps mingled behind her high, girlish voice while she glided through her lyrics, slurring and syncopating with a wayward assurance that was anything but naïve. Her voice could be so languid that the words lapped into each other until they stopped making sense. And she could do anything with that voice – she crooned and whispered, bayed like a dog and impersonated roaring traffic. Over the years, Jones has had more overtly polemical moments, as well as spiritual ones (The Sermon on Exposition Boulevard). 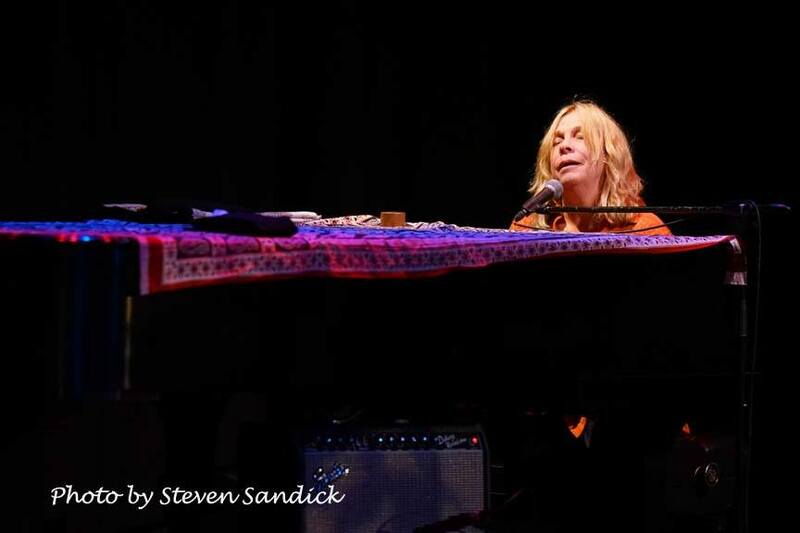 The evening’s sample from the Rickie Lee Jones canon included “Last Chance Texaco,” the funky “Road Kill,” “Blinded by the Hunt,” “Circle in the Sand,” “Must be Love,” “Deep Space” and more. Of these, Ms. Jones opined that “Feet on the Ground” was among her best, and a particular delight to perform. 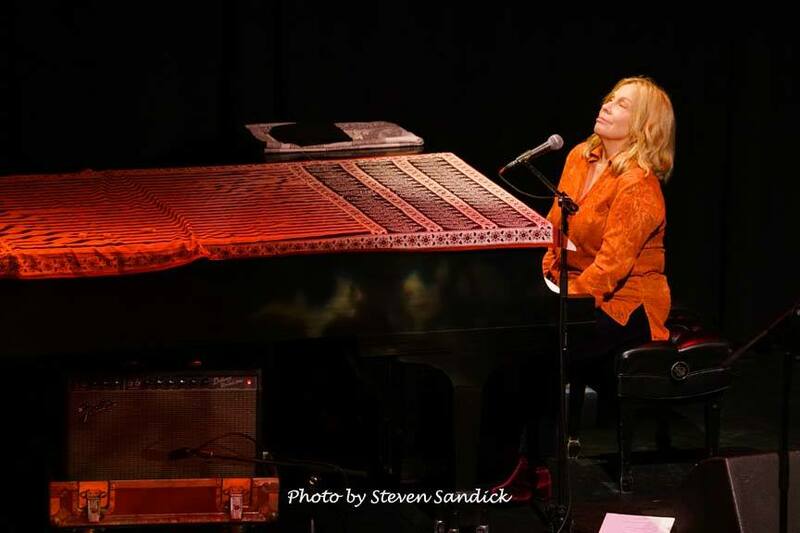 Director Gail Harvey was so taken with the album from which “Feet” was taken that she created a feature length documentary on the 2015 genesis of “The Other Side of Desire.” The film is likely worth watching to hear reactions from Rosanna Arquette, David Crosby, as well as Jones herself and the previously mentioned Mr. Weiss. More than that, though, worth seeing to learn the planes on which a Jones geometry would inscribe desire.
. . . loved the innuendo, the humor, the sting. The genius was as much in the part we filled in. . . That was where the sticky stuff of memory made their music a part of our own personal history. I knew about hiding behind the oleanders; heck, I grew up in Arizona. It wasn’t the specific line; it was the sorrow and fury of the melody. These are all lines that could be written about Jones’ own work. 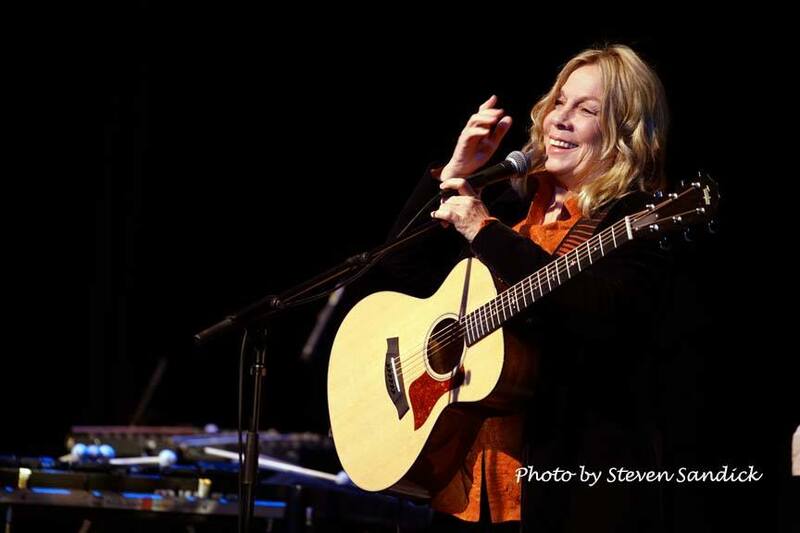 As with “Chuck E.,” a Rickie Lee Jones performance gently force-feeds nutrients encased in a folk rock shell. What is to be learned from that performance is not always pleasant. Loss and dissociation combine with the ephemeral, perhaps not unlike the peripatetic Jones (Chicago, Phoenix, Kansas City, Los Angeles, Ojai, Tacoma, Los Angeles, Paris – and, lately, New Orleans). One day we’re Sal in “Weasel and the White Boys Cool” (1979) and the next “ . . in an empty bar and there is no room for me” (“Infinity” from The Other Side of Desire 2015). Like a beautiful girl (“Deep Space” from The Magazine 1984). Rounding out the trio were two top notch musicians, vibraphonist Mike Dillon @BoneloafMike and guitarist Cliff Hines @CliffHines. Dillon provided a full complement of percussion, but was especially virtuosic on vibe. Hines, sometimes using an Octaver to pull his guitar into bass range, supplied a rich range of chordal and improvised phrasing. The two provided an essential richness and depth without which the Jones lyrics could not achieve the desired insight and insinuation. They understood, somehow, that the vocalist they were supporting was prone to the occasional slur and slide, and that their consonants would come in handy when a Jones vowel was swallowed in a moment of bluesy reverie. Jones last appeared at Landmark in 2009. “I like words. Words are places, rooms, distant airs, thin and tropical. They make us feel and imagine we are more than our bodies.’ Salon interview, 2000. 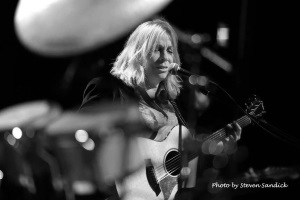 What other singer songwriter who has appeared at Landmark recently toured with Ms. Jones? Madeline Peyroux, reviewed in 2015. 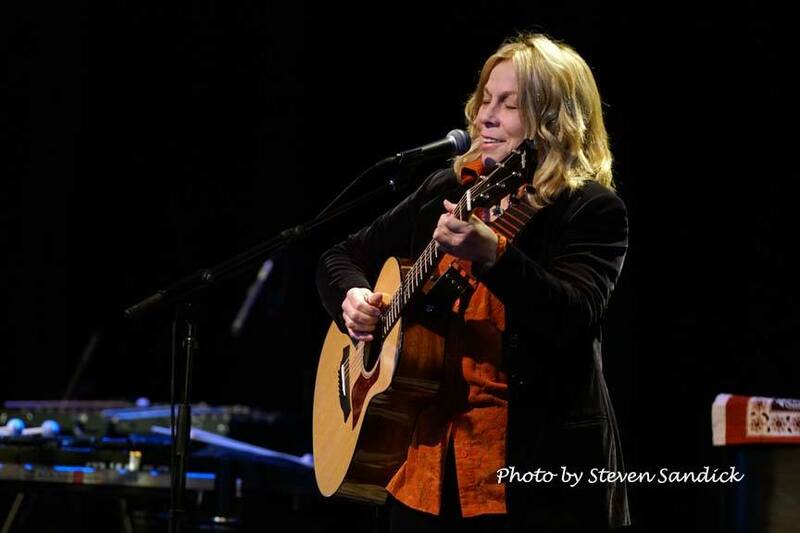 DarkViolin reviews a live Landmark performance by Rickie Lee Jones. Jones appeared with vibraphonist Mike Dillon and guitarist Cliff Hines. DarkViolin reviews the first live performance by singer, songwriter and actor Colin Hay at Landmark on Main Street.